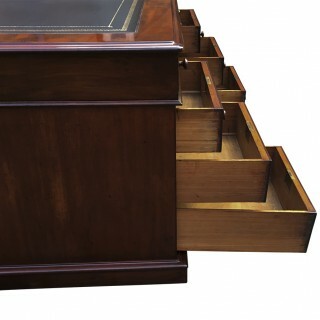 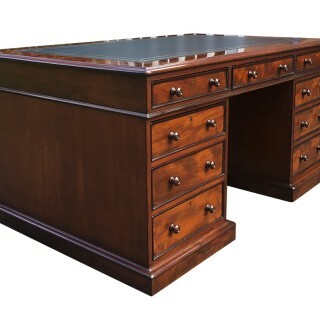 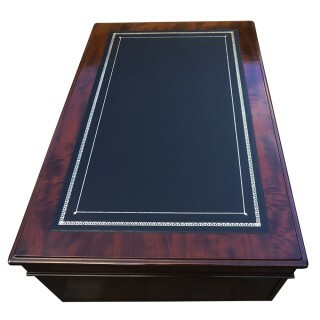 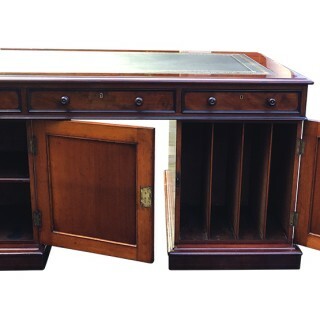 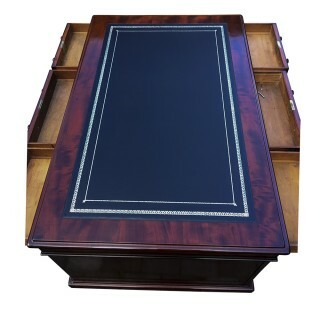 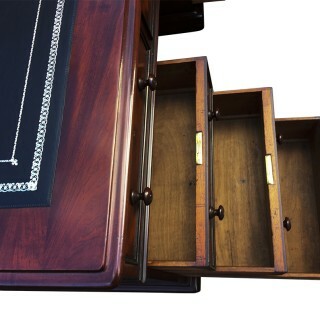 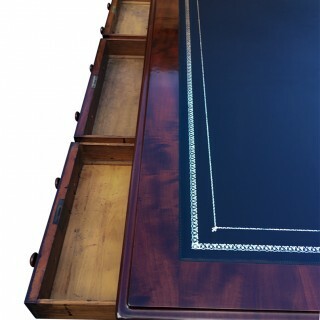 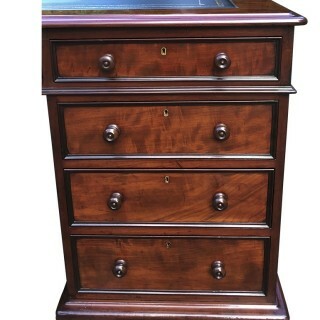 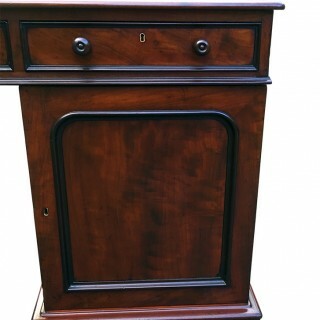 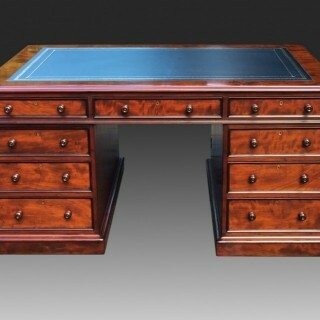 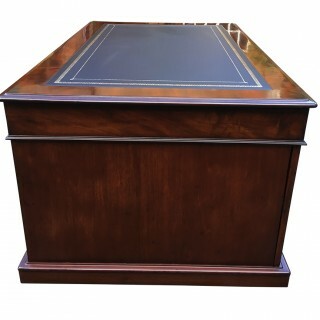 The top is fitted with three drawers to the front and reverse and is surrounded by a band of mahogany with a thumb moulded edge. 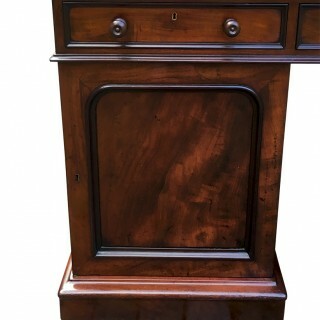 The reverse of the pedestals are fitted with and a cupboard with shelf on the left and a cupboard with ‘folio slots’ on the right . 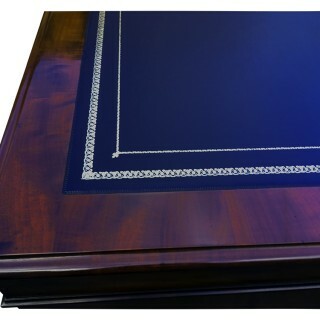 Excellent condition with new writing leather.